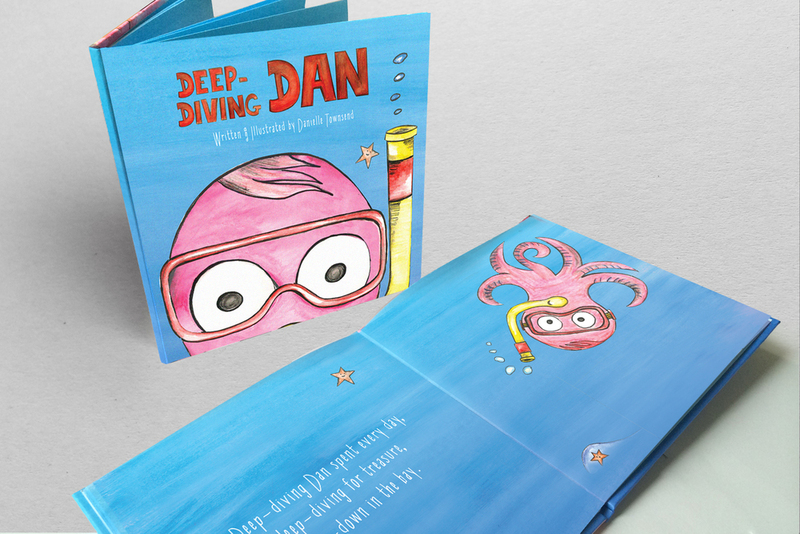 Deep Diving Dan - Children's Illustration Book — Danielle Townsend Design Graphic Design and Brand Identity Design Dublin, Danielle Townsend Design is a Graphic Design and Visual Thinking agency based in Dublin. 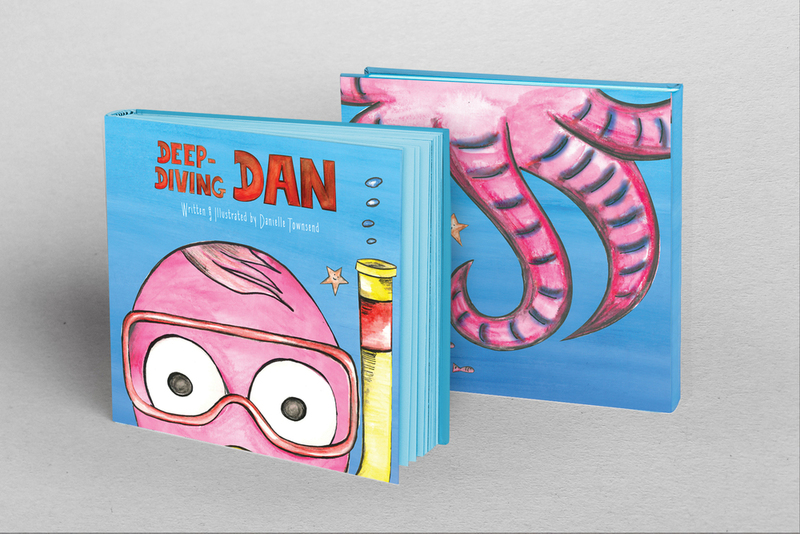 Deep Diving Dan is the second in the series of children's books written and illustrated by Danielle Townsend. The book is a personal project that follows the relationship of the first character Elliotte, and her new brother Dan as they become life-long friends with the starfish who closely watches over them. 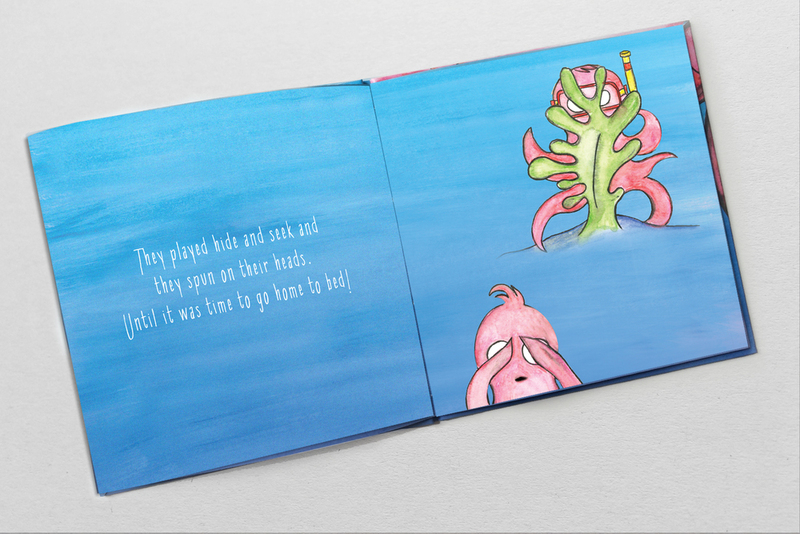 The book has been written and illustrated in-house by Danielle for children of all ages. 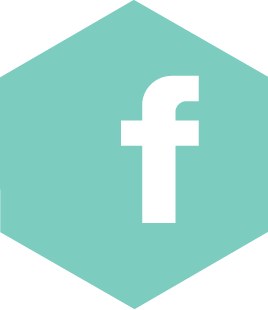 A 24 Page hard back Square book, hand stitched and bound was created. The story throughout is written in verse and the illustrations are created in watercolor and ink. 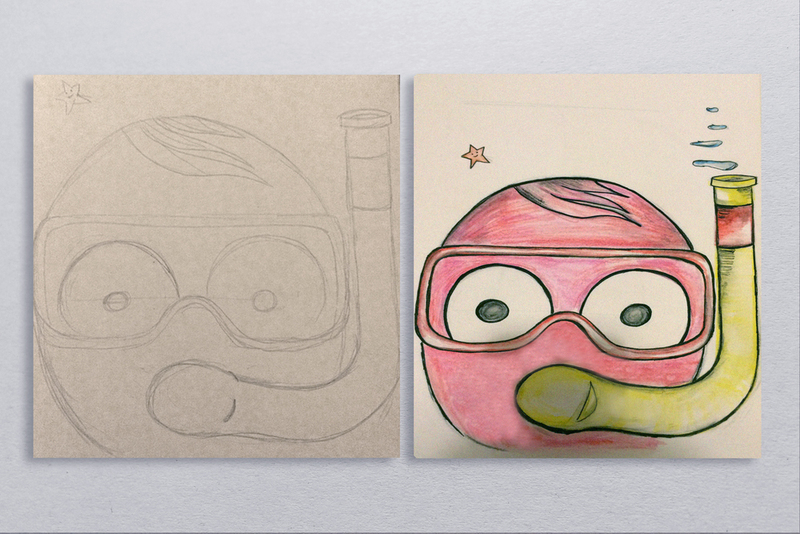 To show the development I have included some pencil sketches throughout the process.